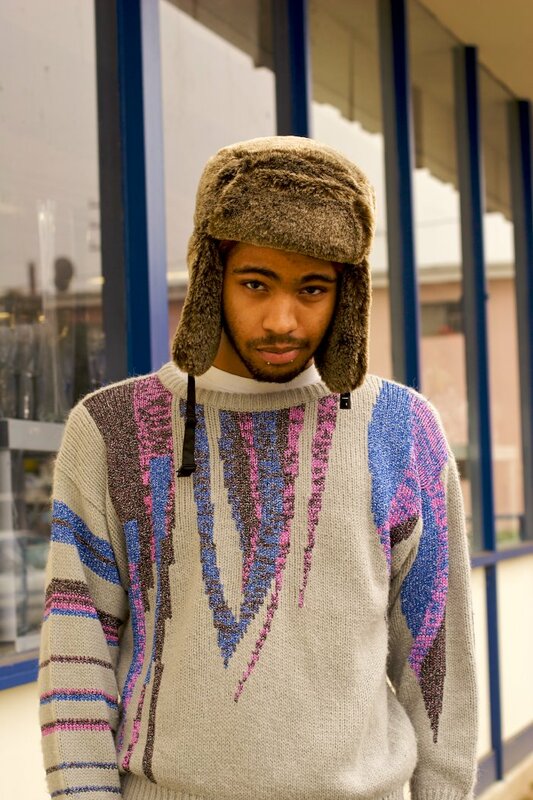 "A lot of early 90s vintage. Salt-n-Pepa, Run DMC, really inspired by the early 90s and 80s vintage." I like how he mixes up a ladies sparkly sweater from the 80s, a fur flap hat, and acid wash jeans. Sure there is a bit of the magpie aesthetic going on here, but Rodney has on the accessory that matches everything - self confidence. It's what pulls it altogether when you see him walking down the street. 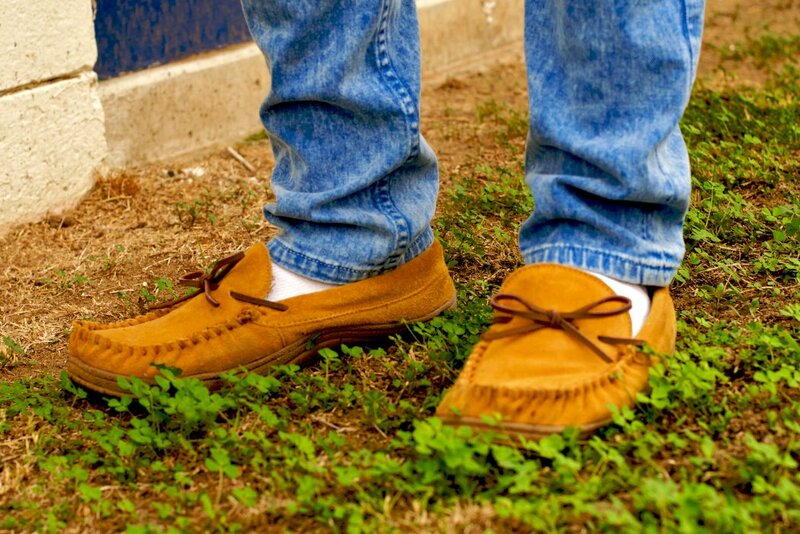 A look at his moccasins. He is one cool dude. Love this kid doing his think in San Gabriel Valley. Are you from Covina? That's where I grew up. @lola moco - i'm actually from azusa, but this is just outside my favorite thrift shop on citrus/arrow hwy, about 5 minutes from my parents' house. 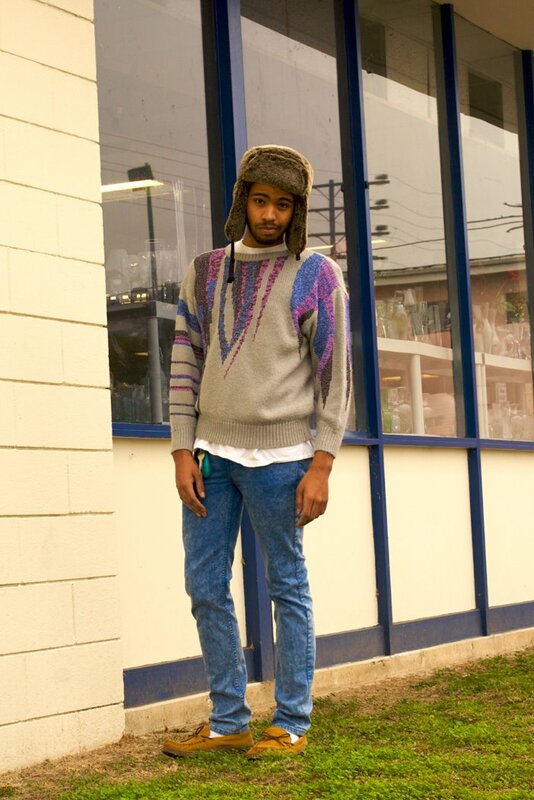 his clothes maybe be vintage, but the way he puts its together and carries himself is entirely modern.